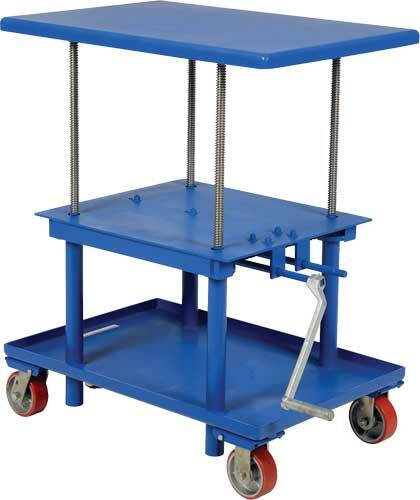 This adjustable height portable table is well suited for a wide variety of material handling applications. 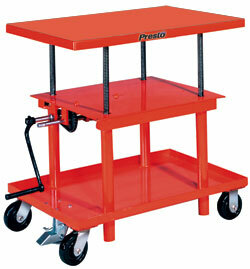 Mechanical crank mechanism provides positive height adjustment without downward drift. Ideal for die handling, and other applications, these units feature a mechanical hand crank for precise height adjustment.